THANK YOU to everyone who entered and left comments along the way. It's so inspirational to see how differently everyone interprets the same rules and the same color. You can go back and check out the entries here. The judges kept telling me how hard it was to pick and I'm so thankful that I didn't have to try to narrow down the entries myself. Without further ado, here are the winners. Fat Quarter Bundle of Angela Walters upcoming fabric collection "Textures"
Eeeek! thank you! Congrats to all the winners, and thanks for running such a fun challenge! Thank you so much, Ali! You are fabulous! Congrats to everyone - they are all gorgeous! Congratulations to all the winners, all the entries are beautiful. Thank you for running the challenge, it was great fun. Congrats, everyone ;) And thank you for hosting, Ali -- I'm always up for being inspired and new and different ways, and this color did just that! Oh my! Thank you so much! Thanks for hosting and thanks to everyone who participated! Cheers and thanks on your wonderful job hosting, Ali, and thanks to the other participants, the judges and the sponsors. 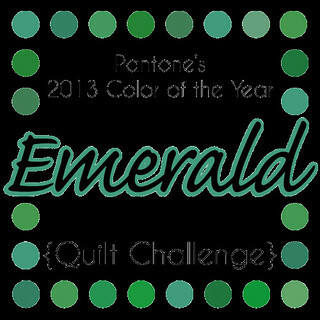 It was so fun seeing everyone's interpretation of Emerald - lots of inspiration and lots of fun. Thanks so much for hosting Ali. Congrats to all the winners. This was such fun and very inspiring. Congratulations to all the winners. Well deserved! Thank you, Ali, for hosting this challenge. So much fun to participate. Whata fun competition and congrats to the winners!!! Yay for the colour Emerald!! Yes, thank you - it really was great fun and so interesting to see so many different takes on it. All the entries were inspiring and congratulations to the winners! Congratulations to everyone and thank you for hosting the challenge Ali. So inspiring to see the beautiful Emerald creations that were made. Congrats to all the winners! And thank you Ali for hosting this ... you got a lot of creative juices flowing! Thank you so much for hosting, Ali, thanks to all of the generous sponsors and congratulations to all of the winners! Congratulations to all the winners! Very inspiring! Congratulations! Off to see the top.